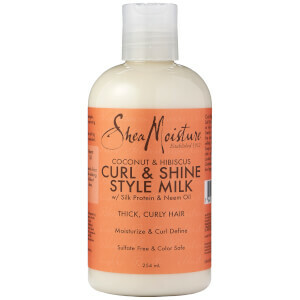 Take full control of thick, curly hair with Shea Moisture's Coconut & Hibiscus Curl & Style Milk; a lightweight, conditioning formula that works to fight frizz. 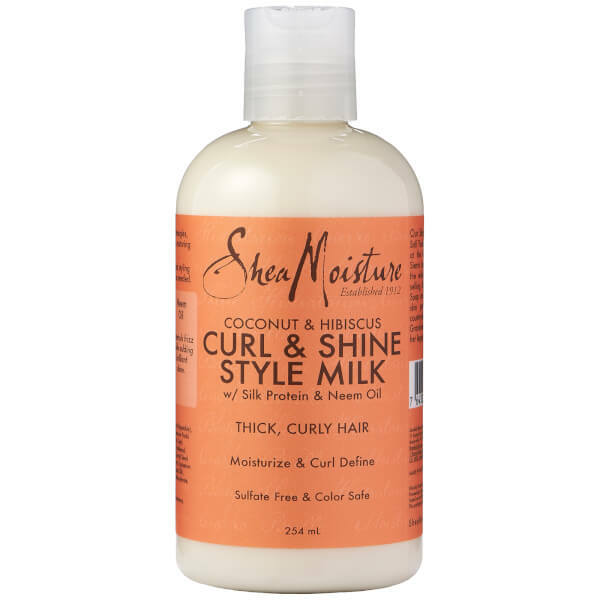 Infused with a nourishing blend of Coconut Oil, Silk Protein and Neem Oil, the moisturising milk effortlessly detangles unruly locks and defends against breakage, whilst enhancing body and defining curls. Expect calm, manageable hair with restored shine. Apply as a no-rinse moisturiser and styling cream to damp, towel-dried hair as needed. Water, Cocos Nucifera (Coconut) Oil, Glycerin (Vegetable), Glyceryl Stearate Citrate, Cetearyl Alcohol, Butyrospermum Parkii (Shea Butter)***, Stearyl Alcohol, Glyceryl Caprylate, Cetyl Alcohol, Cetrimonium Chloride, Fragrance (Parfum), Panthenol, Aloe Barbadensis Leaf Juice, Daucus Carota Sativa (Carrot) Seed Oil, Algae Extract, Salvia Officinalis (Sage) Leaf Extract, Equisetum Arvense Extract, Tocopherol, Sodium Lauroyl Hydrolyzed Silk, Hydroxyethylcellulose, Sodium Benzoate, Glyceryl Undecylenate, Benzyl Benzoate.